Paradigm provides talent representation for motion pictures, television, music, theatre, comedy, book publishing, commercials, and other areas of entertainment. 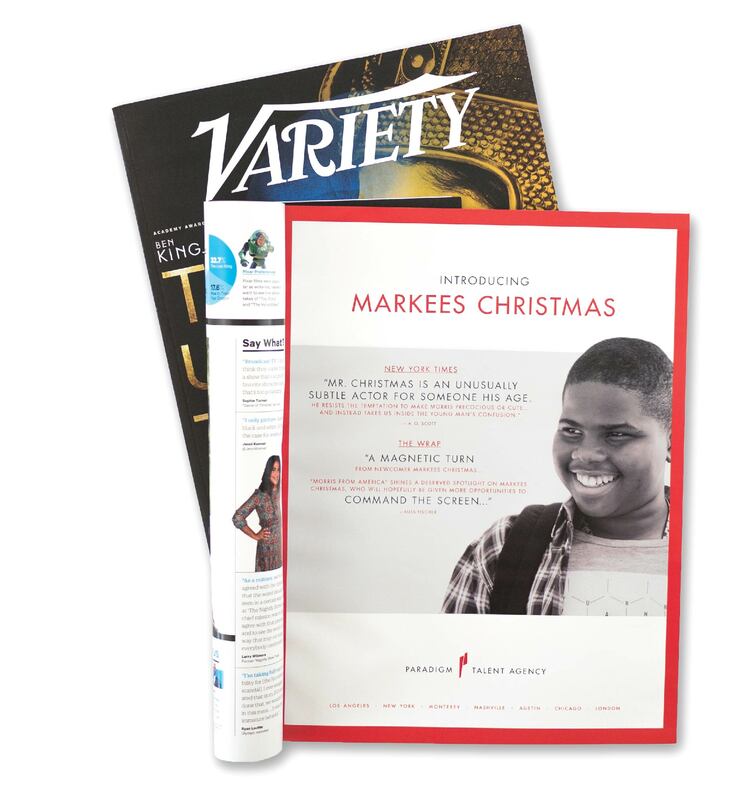 Founded in 1992 by chairman Sam Gores, the agency has carved out a distinct niche in entertainment and earned a reputation for putting artists’ interests above all else. 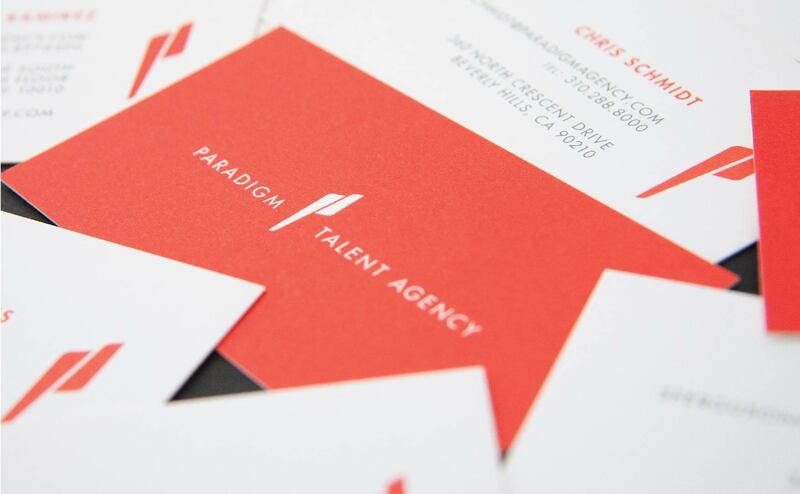 Since our initial brand design with Paradigm in 2005, the agency has grown to include offices in Los Angeles, New York, Monterey, and Nashville and today represents clients that include Toby Keith, Laurence Fishburne, Diplo, Mandy Patinkin, Stephen King, James Wan, and Coldplay. 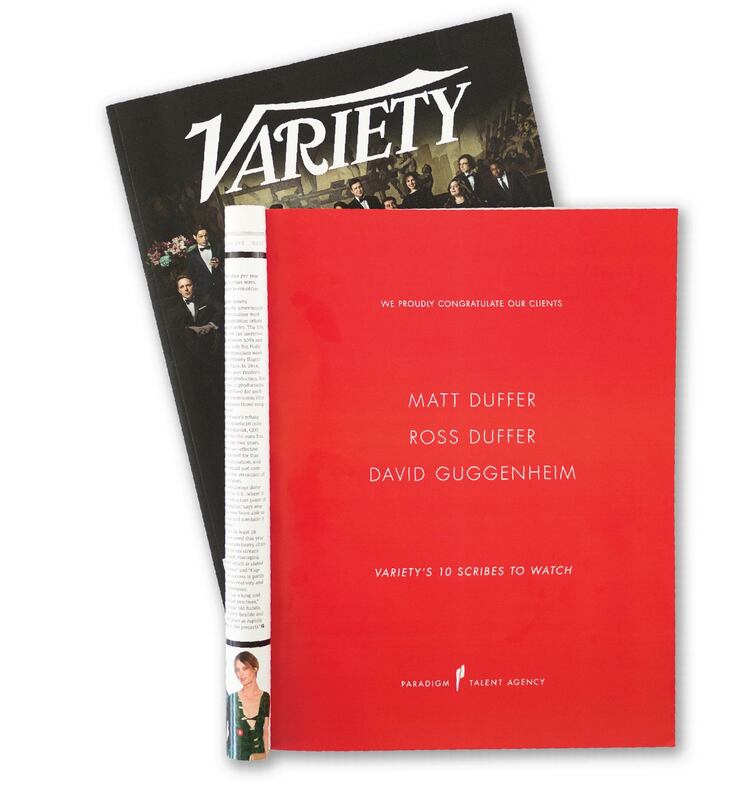 Its presence in entertainment is most visible through the agency’s unique orange color and crisp, modern use. 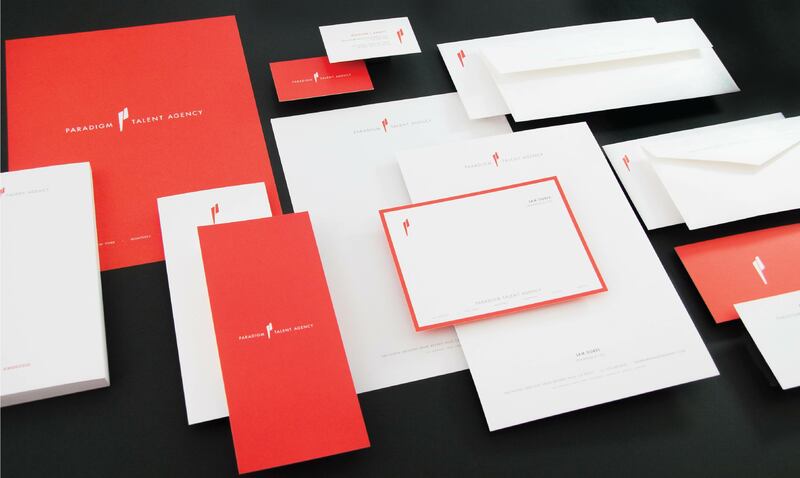 A suite of logos gives Paradigm branding options when it comes to anything, from a trade ad to a special event invitation, a red-carpet backdrop to a script cover—in any color you want, as long as it’s orange. 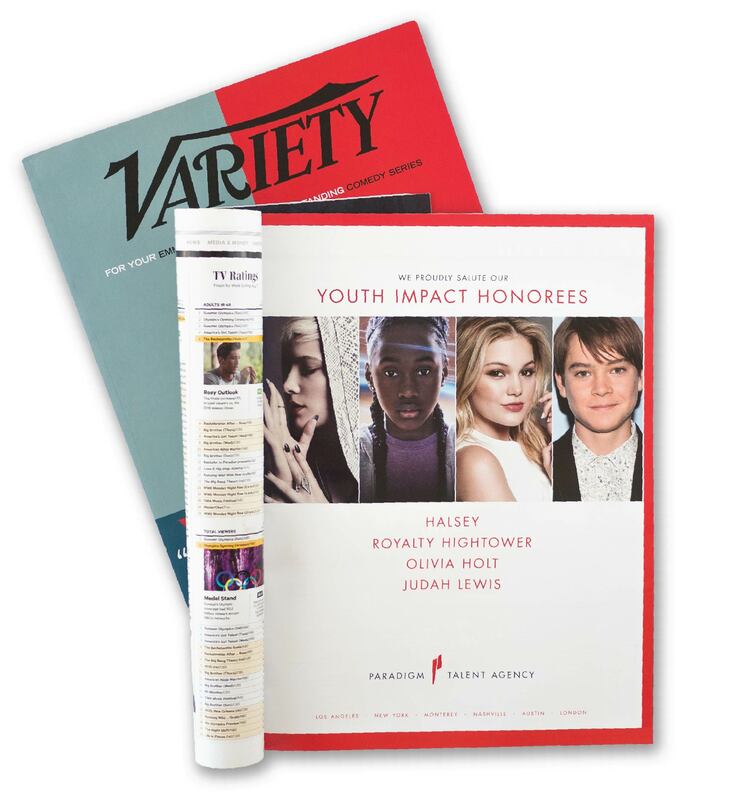 One of Paradigm’s most highly visible communications mediums, print and digital advertising in trades such as The Hollywood Reporter, Variety, and Billboard give the agency presence and acknowledge the work of its artists. Among the broadest identity systems we’ve ever worked on, Paradigm’s system includes standards like letterhead and business cards as well as personal letterhead and buckslips for agents, note pads, four different envelopes and a mailing label, script covers, and gift cards—all meticulously matched. Paradigm is now among the top five talent agencies in Hollywood and includes motion picture, television, music, theatre, book publishing, and commercial divisions. Awareness of the brand and its distinct orange is such that Paradigm has begun signing off ads using only the alibi “P” mark, without any type—a sign of confidence that comes only from strong, consistent brand design.